Ensure a neat fit when completing joinery work around the home with our combination square. 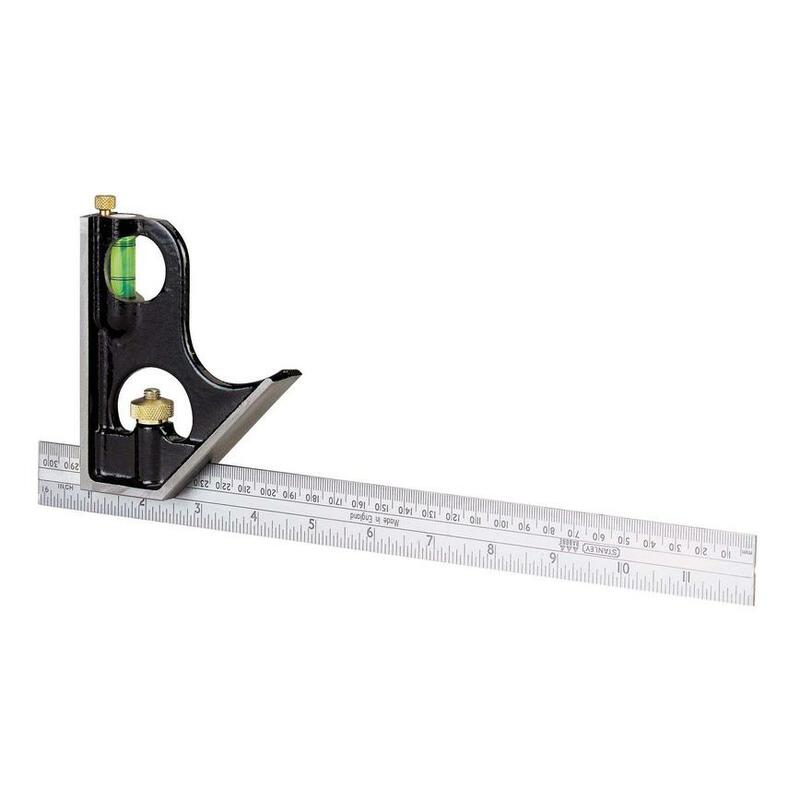 Measure angles and flatness with our multi-functional combination square. Its embossed ruled blade is coated in rust-resistant chrome, whilst a built-in scriber lets you mark surfaces. Easy to read with a black die-cast metal handle, this is a durable and indispensable woodworking tool.